Surely, the test you describe with the meter is looking for a voltage from the car wiring, not the 123, unless I have misunderstand what you mean? If you don’t have 12v that would point to faulty ignition wiring. I have fitted one to my positive earth 3.8. Initially i had the same problem as you. The wiring diagram isn't clear but you still need to ground the coil separately, as well as the black and red wires from the 123 unit, which in turn are connected to the (white) ignition -ive feed. Then set it up without the black wire (but with the coil grounded so that a circuit gets to the unit). I hope I'm making myself clear but this might be your problem. Good luck, it's a great unit and good fun to live tune. Anyway, after messing around its all working fine and I have programmed up a curve that feels pretty good. I shall take it for a proper run at the weekend and see how it feels. 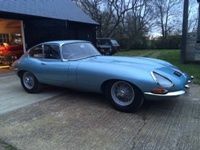 When I fitted the distributor I statically timed it as per the Jaguar workshop manual and using the indicator light within the 123 to indicate correct point of spark. However, not unlike previous fitments of the 123 it would not start like that. Now I have fitted many many distributors over the years and statically timed them with no issues. I assume there is some degree of inaccuracy to the 123 timing light. Anyway, that said, I started it by rotating the distributor, I think from memory ( it was back in September) clockwise and therefore advancing it. The car drives very nicely, but I detect a small amount of pink at low revs and on checking the 123 Tune software App on my Iphone ( which is very accurate by the way) it shows revs have risen from before the change and at 1100 rpm its showing 20 degree of centrifugal advance. My question is therefore, is it possible to alter the advance on the App to correct this or do I need to go dynamic with the timing light. A right old fiddle as the marks are at the bottom of the crank pulley and the car needs to be in the air etc etc. The 123 Tune is a marvellous thing and has miraculous features, but what it doesn't feature is a manufacturer who offers any kind of support , preferring to refer you to the suppliers who they purport to be fully trained in the 123 Distributors! Yeah Right. What is perplexing me is how the electronics in the 123, clever though they are, would know what the advance was without a reference to the crankshaft in some way? Therefore I cannot see it would be possible, but the Tune feature sort of suggests thats its possible. If anyone out there can give me a definitive answer on this simple issue , which the book doesn't help with, I would be grateful. I can quite see that it might be possible to alter the advance or retard from the app but unsure how it would know where it is to start with? ps, rather than re type all of the above, a thought did just cross my mind as to whether it references the slot in the distributor drive and since that is set at TDC number 1 ( 6) it may be able to see where it is? Thoughts please? You get the crankshaft reference from setting the LED light initially. The 123 instruction manual will tell you where the crank should be set to set the LED. Confusingly, it’s not the same on every 123. The LED doesn’t indicate when the spark fires, it’s just a reference point. If you need more advance to get it to start, you need to adjust the curve in the software, not manually move the distributor. With the reference point set right, the software will then accurately tell you what the advance is. thanks Tom, now that all makes sense however that is not clear from the booklet at all. Rather frustrating as I now need to go back and static time it to the green light then. That will not fire as I discovered. If I recall correctly you cannot alter the tune without the engine actually running? So if I an correct you would not be able to alter the timing to get it to run? Perhaps I am mistaken. Not in the slightest doubting your knowledge here, just trying to understand if you managed to find out about the timing process from something written somewhere? Much appreciate the input . thanks Steve. It certainly does suggest that the green light on the 123 must be set at TDC not the Ignition BTDC. Thanks, I shall try that. It would certainly make sense that you do all the adjustments on the APP rather than mechanical using TDC as the benchmark. I shall report back in due course. I’ve not played around with the tune version, so can’t answer the question on whether you can set a curve without the engine running. If you can’t though, then you should still be able to get the car to run and set everything up accurately. First, set the distributor manually so the car will run. Use the LED to get a starting point, then advance it as necessary like you did before. At this point you only need the car to run, it doesn’t matter how well. Then look what the ignition advance curve on the software is set to at idle. It doesn’t really matter what this value is, providing its a number that’s within the range of the timing marks on the crank pulley. Somewhere near where the workshop manual recommends for idle is a good start. It’s probably worth adjusting the curve so the first few points up to say, 1500 rpm all have the same advance value, so you’re not chasing a moving target. Now, with the engine running and a timing light, rotate the distributor until the engine is actually timed to the same value as what the curve is set to for the RPM it’s idling at. You now know that the actual advance the engine has is what the software is showing. Don’t adjust the mechanical position of the distributor from now on. From this point, you can redraw the curve in the software to suit your engine. Once you’ve finished, re-check the timing at idle with the light to confirm everything still matches. When doing all of this, the vacuum advance should be disconnected and the pipe to the carburettor blocked. It’s also important to establish that your TDC mark actually indicates TDC. The pointers are adjustable.